Two years ago I took three practice tests without any test preparation to determine my baseline score and I averaged around 540. I didn't study at all since then, and I decided to really put in my effort to prepare, this year. I took two practice tests recently and scored an average of 380-390. Has anyone seen cases like this? It was really discouraging and I'd like to at least get a 700. Should I use 390 as my baseline score, moving forward? Not sure what caused this 100+ point drop. Any advice will be appreciated. Thank you! 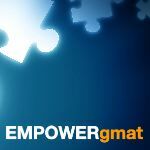 Last year, GMAC shortened the Official GMAT (meaning both the number of questions in the Quant and Verbal sections and the amount of time that you’ll have to complete each of those two sections). In theory, a shorter Exam could make it easier for a well-prepared Test Taker to score higher; however, a shorter Exam is less 'forgiving', so you may have found it more challenging. There are a variety of other factors that you have influenced your performance, but they're not worth getting into at this point. We should proceed based on these 2 recent CAT Scores as a 'starting point' and build an appropriate Study Plan. 1) When are you planning to take the GMAT? Really appreciate your response. Thank you! 1) Honestly not sure. I debated about registering for the official test first, but I unfortunately don't know how much time I'll need to reach 700. 2) Ideally, I would like to apply by the fall of this year (RD1). If not then applying next year shouldn't be too much of a problem. 3) USC PT MBA program and maybe UCLA's FEMBA program? The reason why I want a 700 GMAT score is because of my low GPA (2.87). I would like to know whether the recent tests were Gmatprep tests or not. Gmatprep tests are the closest to the official Gmat and represents a close score. If it was some other prep companies test, then you can expect them to be harder. Based on that start working on Quant and Verbal. You definitely need to work on both. Cear the concepts first and then proceed for the tougher questions. You can find lots of questions for practice in Gmatclub with quality explanation. All the best. 1) Because of a silly/little mistake? 2) Because there was some math/verbal that you just could not remember how to do? 3) Because the question was too hard? 4) Because you were low on time and had to guess? 5) How many Verbal questions did you 'narrow down to 2 choices' but still get wrong? I agree that it would be helpful to know whether all 3 tests were official practice exams. In any case, whether you are at a 380 or 540, you have some work to do to hit your 700 score goal, right? Thus, at this point, you should not really worry about the score drop. Rather, think about what you need to do, moving forward, to improve your GMAT quant and verbal skills. That said, do you need any advice regarding your study plan? Sounds good. Thanks again for the insight. I will thoroughly review my most recent CAT and do my best to understand why I got a majority of the questions wrong. Appreciate the reply. They were from the Manhattan GMAT. I'll look into the Gmatclub practice questions. Thank you. The three tests were from the Manhattan GMAT. YES, it would be greatly appreciated if you could share some advice on developing my study plan. To start, I'm planning to devote 2 hours each day, and 5 hours per day on the weekends. So about 20 hours a week. I’m happy to provide some advice. Since you are currently at a 380, you really need to follow a study plan that allows you to learn GMAT quant and verbal from the ground up. In other words, follow a structured and linear study plan that allows you to individually learn each GMAT quant and verbal topic, starting with the foundations and progressing to more advanced concepts. For example, if you are learning about Number Properties, you should develop as much conceptual knowledge about Number Properties as possible. In other words, your goal is to completely understand properties of factorials, perfect squares, quadratic patterns, LCM, GCF, units digit patterns, divisibility, and remainders, to name a few concepts. After carefully reviewing the conceptual underpinnings of how to answer Number Properties questions, practice by answering 50 or more questions just from Number Properties. When you do dozens of questions of the same type one after the other, you learn just what it takes to get questions of that type correct consistently. If you aren't getting close to 90 percent of questions of a certain type correct, go back and seek to better understand how that type of question works, and then do more questions of that type until you get to around at least 90 percent accuracy in your training. If you get 100 percent of some sets correct, even better. 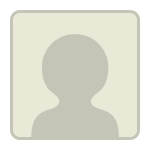 Number Properties is just one example; follow this process for all quant topics. Each time you strengthen your understanding of a topic and your skill in answering questions of a particular type, you increase your odds of hitting your score goal. You know that there are types of questions that you are happy to see, types that you would rather not see, and types that you take a long time to answer correctly. Learn to more effectively answer the types of questions that you would rather not see, and make them into your favorite types. Learn to correctly answer in two minutes or less questions that you currently take five minutes to answer. By finding, say, a dozen weaker quant areas and turning them into strong areas, you will make great progress toward hitting your quant score goal. If a dozen areas turn out not to be enough, strengthen some more areas. Follow a similar routine for verbal. For example, let’s say you start by learning about Critical Reasoning. Your first goal is to fully master the individual topics: Strengthen the Argument, Weaken The Argument, Resolve the Paradox, etc. As you learn about each question type, do focused practice, so that you can track your skill in answering each type. If, for example, you get a weakening question wrong, ask yourself why. Did you make a careless mistake? Did you not recognize the specific question type? Were you doing too much analysis in your head? Did you skip over a keyword in an answer choice? You must thoroughly analyze your mistakes and seek to turn weaknesses into strengths by focusing on the question types you dread seeing and the questions you take a long time to answer correctly. When practicing Reading Comprehension, you need to develop a reading strategy that is both efficient and thorough. Reading too fast and not understanding what you have read are equally as harmful as reading too slow and using up too much time. When attacking Reading Comprehension passages, you must have one clear goal in mind: to understand the context of what you are reading. However, you must do so efficiently, so you need to avoid getting bogged down in the details of each paragraph and instead focus on understanding the main point of each paragraph. That being said, do not fall into the trap of thinking that you can just read the intro and the conclusion and thereby comprehend the main idea of a paragraph. As you read a paragraph, consider how the context of the paragraph relates to previous paragraphs, so you can continue developing your overall understanding of the passage. Furthermore, as you practice Reading Comprehension, focus on the exact types of questions with which you struggle: Find the Main Idea, Inference, Author’s Tone, etc. As with Critical Reasoning, analyze your incorrect Reading Comprehension answers to better determine why you tend to get a particular question type wrong, and then improve upon your weaknesses. Keep in mind that GMAT Reading Comprehension passages are not meant to be easy to read. So, to better prepare yourself to analyze such passages, read magazines with similar content and style, such as The Economist, Scientific American, and Smithsonian. Regarding what you know, first and foremost, you MUST know your grammar rules. Let's be clear, though: GMAT Sentence Correction is not really a test of knowledge of grammar rules. The reason for learning the grammar rules is so that you can determine what sentences convey and whether sentences are well-constructed. In fact, in many cases, incorrect answers to Sentence Correction questions are grammatically flawless. Thus, often your task is to use your knowledge of grammar rules to determine which answer choice creates the most logical sentence meaning and structure. This determination of whether sentences are well-constructed and logical is the second aspect of finding correct answers to Sentence Correction questions, what you see. To develop this skill, you probably have to slow way down. You won't develop this skill by spending less than two minutes per question. For a while, anyway, you have to spend time with each question, maybe even ten or fifteen minutes on one question sometimes, analyzing every answer choice until you see the details that you have to see in order to choose the correct answer. As you go through the answer choices, consider the meaning conveyed by each version of the sentence. Does the meaning make sense? Even if you can tell what the version is SUPPOSED to convey, does the version really convey that meaning? Is there a verb to go with the subject? Do all pronouns clearly refer to nouns? By slowing way down and looking for these details, you learn to see what you have to see in order to clearly understand which answer to a Sentence Correction question is correct. There is only one correct answer to any Sentence Correction question, there are clear reasons why that choice is correct and the others are not, and none of those reasons are that the correct version simply "sounds right." In fact, the correct version often sounds a little off at first. That correct answers may sound a little off is not surprising. If the correct answers were always the ones that sounded right, then most people most of the time would get Sentence Correction questions correct, without really knowing why the wrong answers were wrong and the correct answers were correct. So, you have to go beyond choosing what "sounds right" and learn to clearly see the logical reasons why one choice is better than all of the others. As for the third aspect of getting Sentence Correction questions correct, what you do, the main thing you have to do is be very careful. You have to make sure that you are truly considering the structures of sentences and the meanings conveyed rather than allowing yourself to be tricked into choosing trap answers that sound right but don't convey logical meanings. You also have to make sure that you put some real energy into finding the correct answers. Finding the correct answer to a Sentence Correction question may take bouncing from choice to choice until you start to see the differences that make all choices wrong except for one. Often, when you first look at the choices, only one or two seem obviously incorrect. Getting the right answers takes a certain work ethic. You have to take the time to see the differences between answers and to figure out the precise reasons that one choice is correct. To improve what you do when you answer Sentence Correction questions, seek to become aware of how you are going about answering them. Are you being careful and looking for logic and details, or are you quickly eliminating choices that sound a little off, and then choosing the best of the rest? If you choose an incorrect answer, consider what you did to arrive at that answer and what you could do differently to arrive at correct answers more consistently. Furthermore, see how many questions you can get correct in a row as you practice. If you break your streak by missing one, consider what you could do differently to extend your streak. As with your Critical Reasoning and Reading Comprehension regimens, after learning a particular Sentence Correction topic, engage in focused practice with 30 questions or more that involve that topic. As your skills improve, you will want to practice with questions that test you on skills from multiple Sentence Correction topics. How to Score a 700+ on the GMAT and The Phases of Preparing for the GMAT. Feel free to reach out with any further questions. Good luck!